Fig. 1. 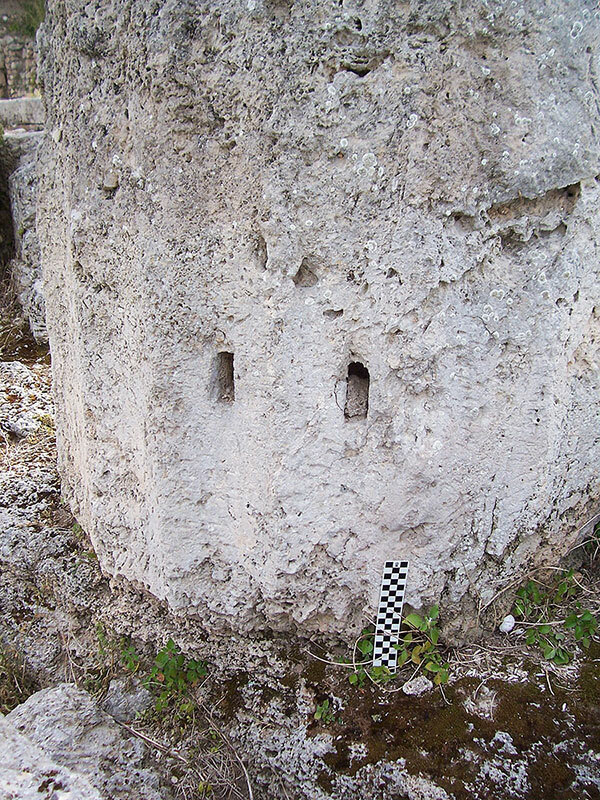 Detail of small double cutting on a column in the Archaic Colonnade at ancient Corinth. Fig. 2. 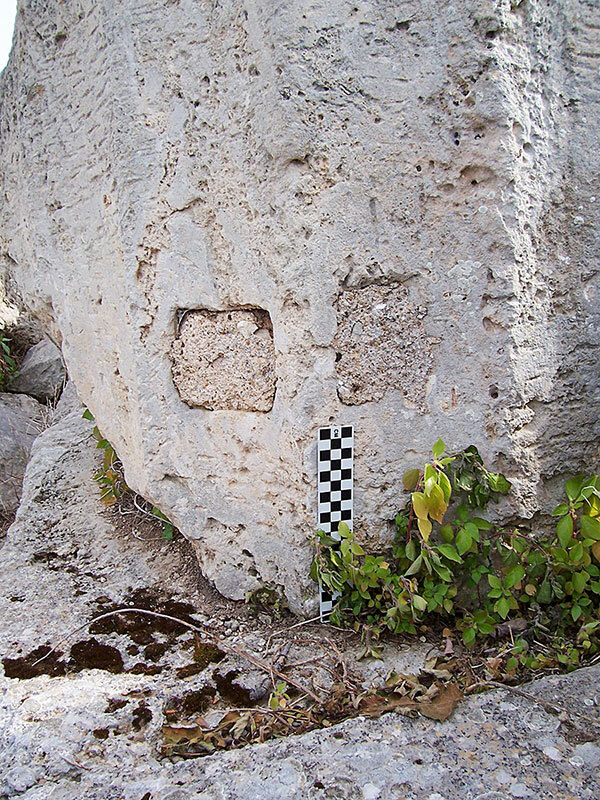 Detail of single cutting on a column in the Archaic Colonnade at ancient Corinth. Fig. 3. 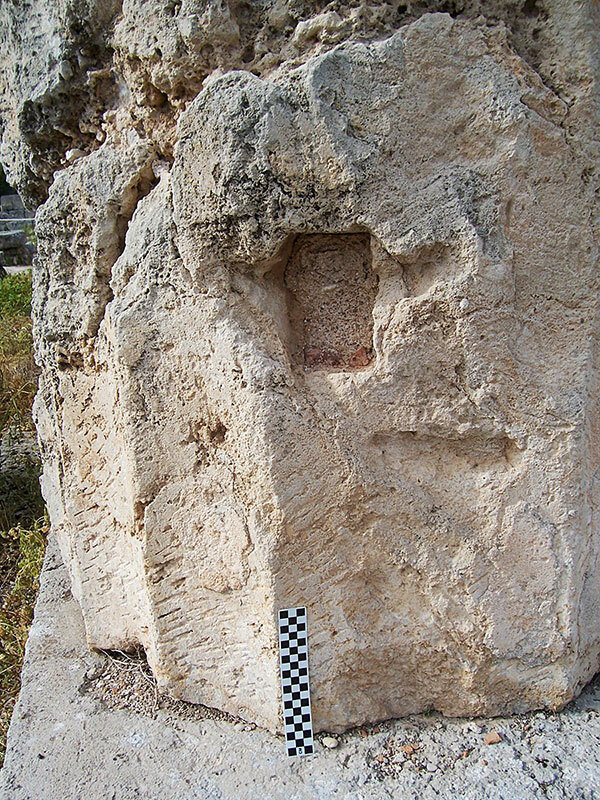 Detail of large double cutting on a column in the Archaic Colonnade at ancient Corinth.